Coliseum is legendary. 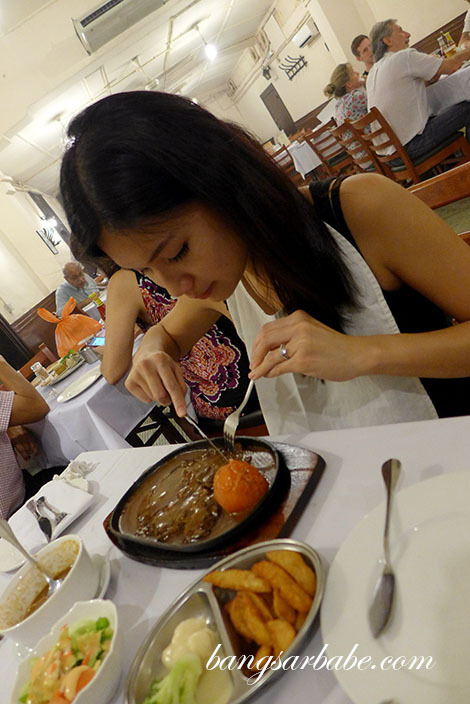 It used to be THE place for steaks in Kuala Lumpur but I never got around to trying it. My other half has been pestering me to have dinner there and I finally did. Located along Jalan Tunku Abdul Rahman, it’s best to dress down as the street gets a bit dodgy when the night falls. 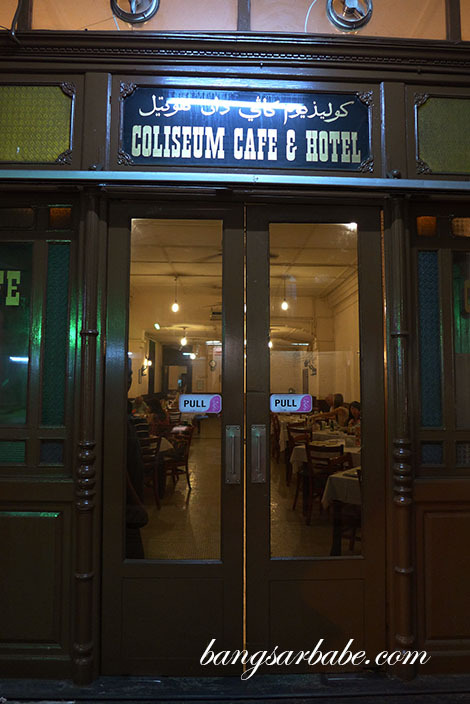 Entering Coliseum is like a step into the past – old tile floors, starched linen, stained walls and aged furniture. Many of the patrons looked like old timers; rif and I were the odd ones. 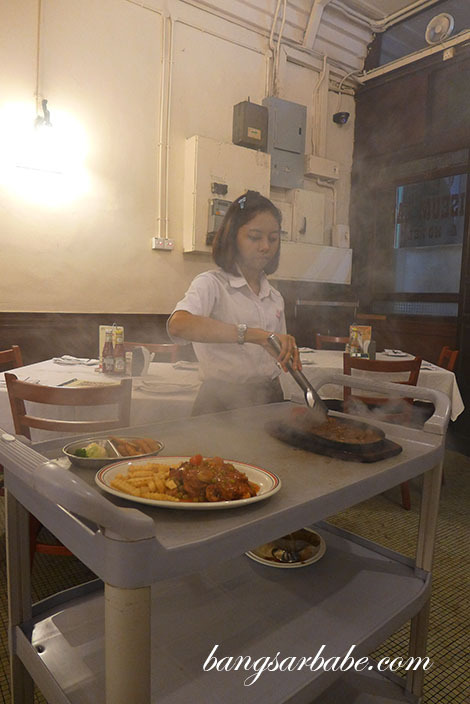 We weren’t attended to by an elderly waiter, but a young Malay girl who could use some brushing up on waitressing. The food was downright old school and actually quite nice. 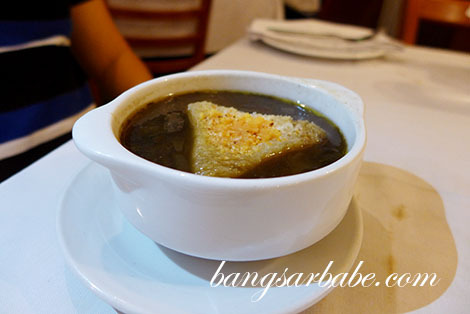 The oxtail soup (RM12.90) packed flavour and came with two large pieces of oxtail. One was nice and tender, while the other piece was a tough as rubber. The soup was thick and rich, so if you’re a light eater, this might be too heavy for you to stomach. 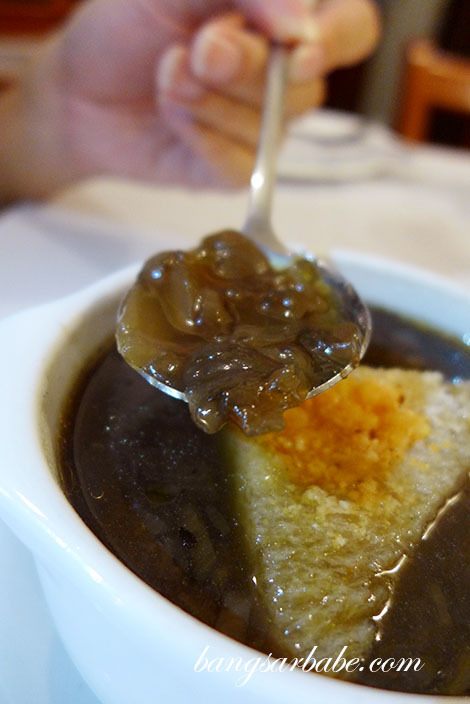 I found the French Onion Soup (RM8.90) a tad diluted. That said, the broth was sweet from the generous amount of onions and (possibly) some sugar. 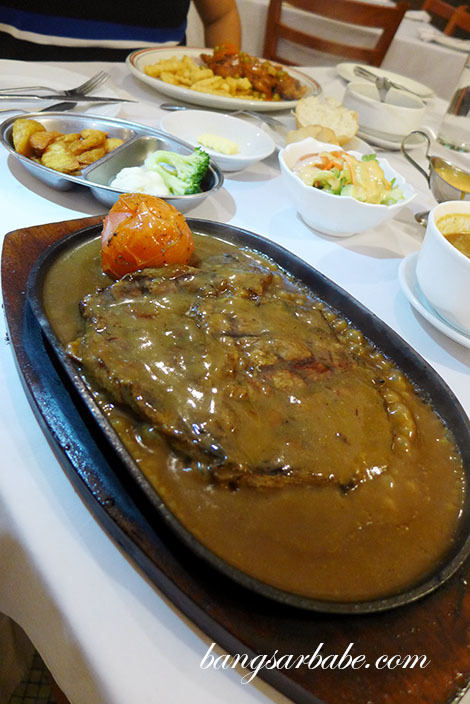 My Sizzling Australian Rib Eye Steak (RM43.90) came with a salad, wedges and broiled vegetables. I didn’t care much for the salad, which came with thick thousand island dressing. 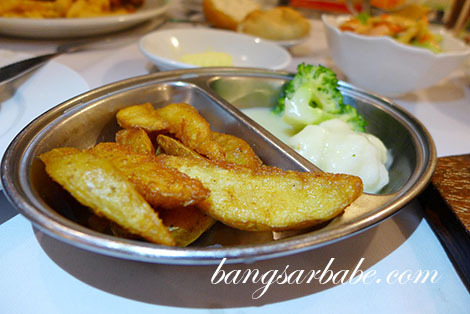 The wedges were crisply fried and fluffy at the centre. I asked for my meat to be cooked medium rare; it was well seared and reasonably tender. I wasn’t asked for my sauce preference – my waitress assumed I wanted black pepper. Good thing she guessed right, for there were three sauce options. Black pepper, mushroom, and garlic brown sauce. The Hainanese Chicken Chop (RM23.90) was pretty good and I enjoyed it better than the one at Yut Kee. 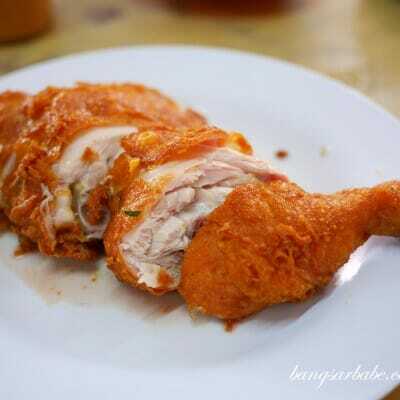 Fried till golden brown and crispy, the batter itself was tasty and of just the right texture. The homemade sauce with onions, mushroom and peas was well balanced in flavour and complemented the chicken. 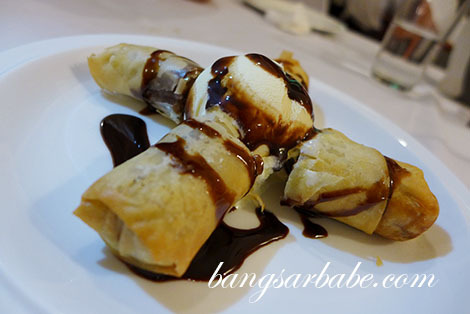 For dessert, we shared the Banana and Chocolate Spring Roll with Vanilla Ice Cream (RM9.90). Not fantastic, but it was a good end to a satisfying meal. I’ll be back. Verdict: Love the old school factor and the food is pretty decent. I’ve never been there but always wanted to , like you said it’s legendary. 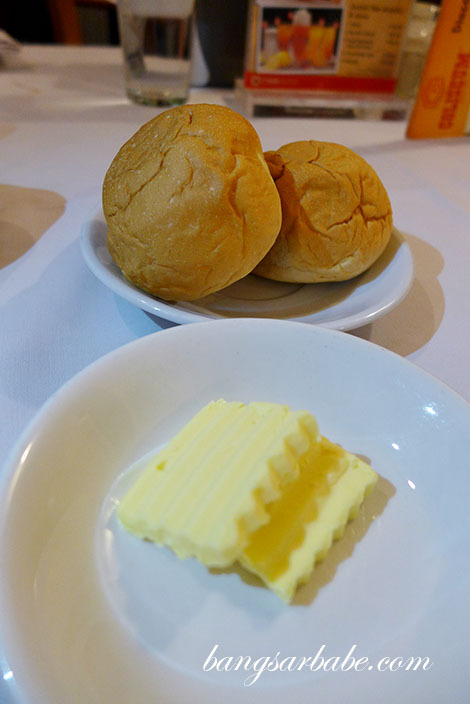 But i think people go back now for the nostalgia rather than the actual food. our tastebuds have changed. Lol why la? I didn’t get the old wait staff. Brings back memories…lol was the Indian Captain not around to serve you,lol? He’s on youtube and speak Cantonese fluently! 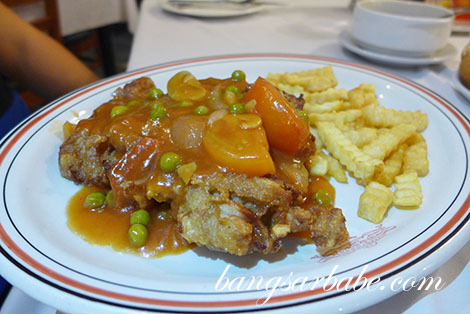 the hainanese chicken chop is kinda expensive.. 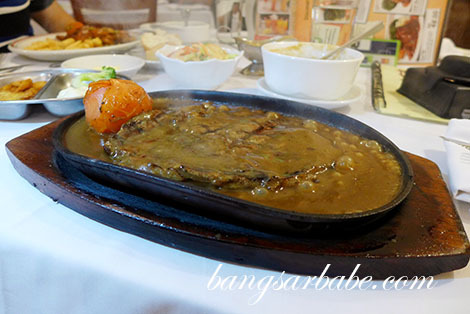 I interest to try it..
It’s a bit on the pricey side, but portion quite big. So I guess ok la. Nice to see you manage to visit the place. Me and my family have been regulars since I was a small boy. To be honest, the standards have dropped from what they used to be. When they say it used to be THE place to be concerning steaks, it was simply because it really WAS. The ambiance used to be more pre-war colonial style, with old captains (there used to be a friendly chinese and indian old-timer duo around). Some worked for years, my dad recalled knowing one one waiter since the time he joined as a young man. 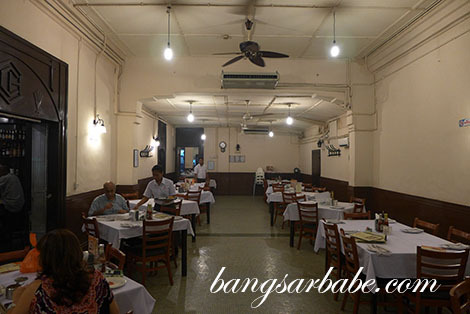 These days they hired malay women staff (which like u mentioned needed some lessons haha) and it kind of diluted the whole ‘old school’ feel, after all during pre-war times only men were allowed to be waiters in Coliseum. That wasn’t the only thing diluted, their signature orange juice used to be the bomb! Thankfully the steaks are pretty much the same (they sizzle less now I think). New outlet is opening soon in May. Its in the new wing of jaya 33, ss13 p.j. Trial opening on 17th June! dont bother with the new pj outlet. the place looks nice but the food was horrible. Have to inform that the Indian Captain who spoke fluent Cantonese in the original Jln TAR Coliseum passed away a few months ago – RIP. My family and i go there about every 4 months on average and at our last visit, we were informed he had passed on – he was always taking our orders before and we enjoyed the banter with him…. Service at Jaya 33 branch was horrible. Restaurant was only 20% occupied when we were there, but they messed up a third of our orders. We had 3 orders of mains and drinks, respectively and had one order of each forgotten. 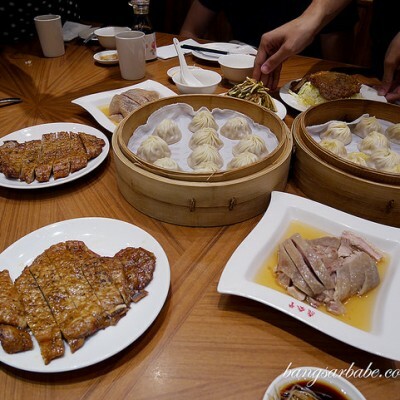 Moreover, the food was not fantastic as we would have expected.